The life of a professional performer definitely has its up sides; however it’s important to know that it isn’t a life of perpetual standing ovations. Therefore, the more realistic you can be about this career path, the more positive (and hopefully lucrative) your experience as a paid actor, singer or dancer will be. Below are some “hints from the trenches” to help you get started on your path to trying your hand at full-time dramatics. Even if you’re a “natural” on stage, you’re better off having some kind of appropriate education under your belt. This can be anything from a few all-day courses in a variety of theatre-related subjects (e.g. monologues, auditioning techniques, make-up application) to a four-degree in the performing arts. The advantages to training are two-fold. First and foremost, you’ll be better prepared as a performer. Secondly, you’ll get to know other people in the industry, which can lead to jobs, referrals or insider knowledge. Just be certain to get your training from a respected authority; otherwise, you may be wasting your investment. It’s such a cliché, but it holds true: When starting out as a professional performer, it’s best to have a part-time (or flexible full-time) job that allows you to make a steady, reliable income. Traditionally, actors, musicians and dancers have gravitated toward waiting tables in restaurants and pubs, but doing so isn’t the only path you can take. In today’s Internet-based world, you may be able to work from your home during non-traditional hours to pay your bills until you “make it big”. Many individuals who gravitate toward the stage have an idealist view concerning what becoming a paid performer should be. While it’s fine to be optimistic and upbeat about the process, never forget that it’s a business. As such, you should take your role as a thespian or singer with the utmost professionalism. This includes returning phone calls as soon as possible, arriving on time for auditions and call-backs, and maintaining a business-like attitude. No one enjoys being told, “Sorry, you’re not what we’re looking for.” But in the performing arts industry, it’s a common occurrence. Think of it this way: There’s one role and hundreds of people want it. This means that plenty of them will be rejected… including, perhaps, you. Consequently, it’s critical not to allow yourself to take rejection so personally that you are unable to move on. It’s fine to grieve, whine or even sulk for a few hours after realising you weren’t chosen for a part; however, after you’ve indulged your emotions for a short time, you need to move on to your next audition. Though having an agent or agency backing isn’t absolutely necessary to succeed in the performing arts, it can help your chances of making a livable income. Be forewarned, though – there are scam artists posing as agents who will ask for upfront payment to retain their services. Generally, you should not have to pay for representation; after all, if an agent thinks he or she will be able to make a percentage of your earnings, there’s no reason to make you pay before he or she gets you a job. Ideally, a performer is flexible in every way. 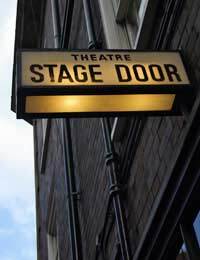 He or she should be able to make most auditions, be open to relocating if needed and be interested in becoming a better actor, singer or dancer.If it’s difficult for you to accept change, you’ll have a tough time in the dramatics field. More than anything else, keep your chin up as you begin your adventure as a professional performer. Though the road can get bumpy at times, you will absolutely have some amazing experiences along the way if you stop to look at the scenery!